Ultra-thick, long-lasting formula keeps working for days. All natural, with pine tar, fish oil, turpentine and iodine. 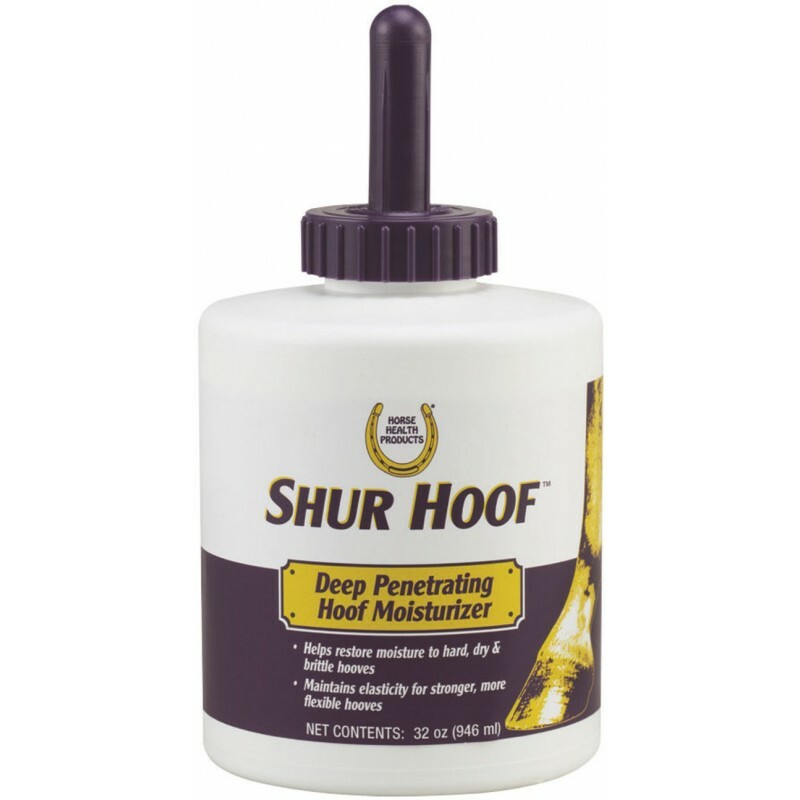 Penetrates deep into hoof walls to improve texture and elasticity. Wash the horse's hoof thoroughly. 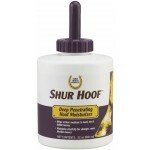 Apply SHUR HOOF Dressing with a brush and work well into the edge of the hair and frog. Use two or three times weekly. May be used more often if necessary.